The tastemaker: Wallace Chan - Hwatien Enterprise CO.,LTD. ‘I express my life through gemstones,’ says Hong Kong-based jewellery designer Wallace Chan. ‘It’s about a pursuit of freedom.’ Born in 1956 in Fujian, China, Chan found his artistic calling early, fashioning flowers out of plastic at the age of eight. At 16 he began an apprenticeship with a sculptor in a traditional workshop, but left after nine months to hone his skills in carving raised intaglio and sunken cameo reliefs. For the next 40 years, Chan would experiment with a wide spectrum of techniques and materials. Early in his career, Chan’s pieces often drew on traditional Chinese iconography. But he was equally inspired by the sculptures of Michelangelo, particularly the play of light on their surfaces. ‘I always take light into account,’ says the designer, who explains that he keeps searching ‘until I find that particular point where light can penetrate’. With time, key themes began to emerge in Chan’s production: nature, philosophy and sculpture. His butterflies and flowers are Fauvist and opulent; his sculptural forms are classically Romantic. Chan is not only a sublime artist, but also a world-class innovator. 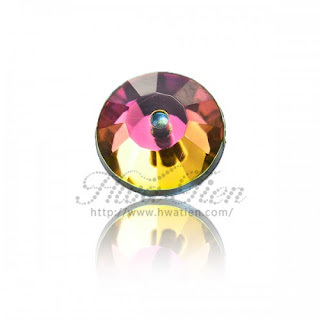 Over the course of two and a half years he invented a technique known as the ‘Wallace Cut’, which takes advantage of a gemstone’s internal properties to produce designs with a three-dimensional effect. ‘When I started learning about gem-cutting,’ says Chan, ‘I saw how the light entered the stone’s body through its surface, and how light interacts inside it.’ Inspired by the use of multiple exposure in photography, Chan began to explore how to use the concept to create cameos and other designs that could feel almost lifelike. In addition to the Wallace Cut, Chan has developed new methods of cutting and setting to minimise the visibility of metal between precious stones. He has also pioneered a technology to enhance the luminosity of jadeite. Chan seeks to marry the aesthetics of Asia and the West, and was the first Chinese jewellery designer to exhibit at TEFAF New York (2016) and Maastricht (2017), and at the Biennale des Antiquaires in Paris (2012, 2014). This November Christie's will offer key works by the designer in Wallace Chan: the Beginning of a Genius, a special section of the Hong Kong jewellery sale. The curated selection features a comprehensive range of pieces by Chan, from zodiac signs made from carved quartz to contemporary gems in bold tones. The elements that have made Chan one of the world's most sought-after jewellers are all here: the scrupulous craftsmanship, the juxtaposition of pure hues and the clever designs that often conceal a surprise. Above all, Chan wants his gems to take on a life of their own. ‘I hope that when my creations part with me, they will be transcendent and become symbols of this generation,’ the designer says.